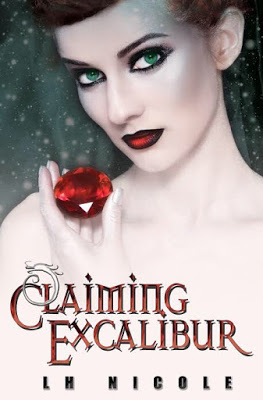 Welcome to the Claiming Excalibur Blog Tour! Click on the banner above to see the full tour schedule . Be sure to enter the Giveway! Aliana Fagan has done what many thought impossible: she’s awakened King Arthur from his fifteen-hundred-year sleep, reunited the Knights of the Round Table, and even beaten Mordrid and Morgana LeFay in battle. But the Destined One’s quest has only begun. Before the knights can “unearth and reclaim their lost relics” they must survive the trip to Charleston, South Carolina and meet the newest member of the Round Table. If King Arthur’s men thought Aliana and Lacy were tenacious, they’ll be even more surprised by Dawn, the third member of the fem-trio. Deadly secrets, unexpected allies, and a traitor lurking in the shadows await Aliana and the new Round Table as they continue their search for Excalibur. Their only clue is a beyond confusing poem from a mysterious book that speaks of a terrifying creature guarding the legendary sword. Trying to build a somewhat normal relationship with Sir Galahad adds a whole new level of complexity to Aliana’s task, especially when several among them suspect the White Knight may not be wholly himself. Her friendship with King Arthur grows closer, and when circumstances become intense, he may finally get the chance with Aliana that he’s been pining for. Mysteries, legendary quests, and haunting memories will either unite the members of the New Round Table or fracture their bonds. Aliana and her crew only have seven months before the planets align and Mordrid can seize the power he needs to conquer the seven realms. Can the Destined One keep her new family together and lead Arthur to his destiny of saving the realms? Or will a centuries-old plot for revenge finally spell the king’s end? “What do we have here? Seven little warriors and a DragonLord lost in a strange land?” a snarky voice said, echoing off the white trunks that surrounded the path. “Who’s there?” Owen called out. “Show yourself!” Arthur ordered, drawing his sword. The others followed his lead, drawing theirs. Aliana pulled the bow from her shoulder and nocked an arrow. Dagg jumped from her shoulder and hovered in the air, his purple gaze flicking around the area. The voice laughed. It wasn’t deep enough to be a man’s voice, but it wasn’t high like a girl’s either. Son of a biscuit! What kind of trouble’s found us now? “Puck?” Lacy and Aliana gasped as a short, gangly kid appeared, hovering high in the air above them. He wore a pair of gray breeches and a red and white tunic. The shirt was cinched at his thin waist by a thick blue belt. His pale orange skin stood out against his shocking white blond hair and liquid silver eyes. “Ah, so you’ve heard of me!” The kid smiled brightly and bowed to the girls from the air. “We’ve heard of you, too, trickster,” Galahad growled. He and Percy stepped in front of the girls. If she hadn’t been so unsure about the “trickster” in front of them, Aliana would’ve been tempted to laugh. “Are you the Puck from Shakespeare’s A Midsummer’s Night Dream?” Lacy asked cautiously, staring at the creature. “Then what is your purpose for interrupting our quest?” Arthur asked. His voice sounded bored, but he watched Puck intently. Aliana frowned. What did he mean by that? “We’re still some distance from the Summer Kingdom,” Leo said as Dagg lowered himself to Aliana’s shoulder. She could feel the Dragon’s tenseness, like he was ready to pounce. “Bah.” Puck scrunched his face. “You mortals. So boring. Puck has a much more fun way to travel.” He clapped his hands again. The sound echoed loudly, like they were in a mineral cave, and white gold lights encased the eight of them. The guys twisted, trying to find a way out of the magic surrounding them, but the light grew so bright they had to shield their eyes. Waves of electricity crackled over Aliana’s skin until she felt like she’d dissolve under the immense power. Then it stopped, and the white-hot light around them vanished. I am a seasoned Pastry Chef in our nations capitol and a life long fairytale (Disney and Grimm) lover, believes in love at first sight, is addicted to 80’s & 90’s cartoons and anything that can capture my ADD-way-to-overactive-imagination. Joan Lowery Nixon and L.J. Smith were the first authors I became addicted to and who inspired me to steal away whenever I could to read and write. You can keep up with me, and all my news and adventures on Facebook, Tumblr, Pinterest, Blogger and Legendary Saga website.